Identifying which of William Shakespeare’s many masterpieces is the most popular is a near-impossible task. After all, critics, actors, students, and casual readers all have very different perspectives on the Bard, and the longevity of his works means different plays have likely occupied the "most popular" slot over the years. However, according to Priceonomics, A Midsummer Night’s Dream is currently the most frequently performed of Shakespeare’s works. Using data from the website Shakespeareances, which lists upcoming Shakespeare performances, Priceonomics was able to determine how frequently each of Shakespeare’s plays have been performed since 2011. Though the website does not list every Shakespeare performance globally (it mostly sticks to professional performances in North America, Australia, and England), Priceonomics believes it is the most comprehensive database of Shakespeare performances online. 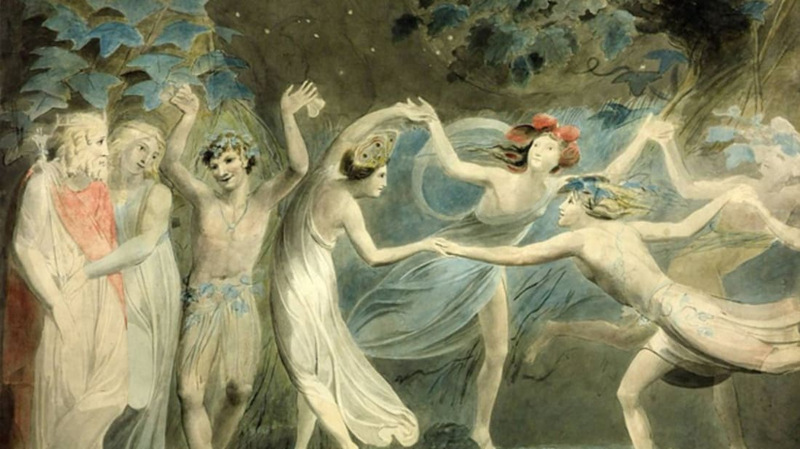 Priceonomics found that A Midsummer Night’s Dream represents more than seven percent of the nearly 2000 Shakespeare productions listed on Shakespeareances, both in the United States and abroad. Meanwhile, in America, Romeo and Juliet and Twelfth Night were the second and third most performed plays, while Hamlet and King Lear took second and third abroad. Shakespeareances founder Eric Minton thinks A Midsummer Night’s Dream may be the most performed because it’s among Shakespeare’s most accessible plays. "It appeals to people who aren’t familiar with Shakespeare," he explains. "You are gonna get the comedy even if you’re not proficient at speaking in verse."